The schools NMS Jennersdorf shows with very nice and detailed pictures how tablets can be useful in handicrafts training. This inaugural Scandinavian edition describes findings from the NMC Horizon project. It is an ongoing research project by the New Media Consortium designed toidentify and describe emerging technologies likely to have an impact on teaching, learning, and creative inquiry. Unlike the European Horizon report, this report does not identify tablets as a trend likely to emerge in less than one year. BYOD is, however, identified as a trend likely to appear in that time frame. BYOD (Bring Your Own Device) refers to the digital strategy of students bringing their own laptops, tablets, smartphones, or other mobile devices with them to class. The report acknowledges that tablet computing has accelerated the pace of BYOD, especcialy in schools, where these smaller, less-expensive devices are seen as a better option than traditional laptops. Further, it identifies Flipped Classroom as a trend likely to emerge within the next year. The articles outlines 10 ways iPads can support the teaching of students with learning disabilities. For instance, their intutive use and the possibility to customize the learning environment make them an attractive tool for this group of students. Further, they can be therapeutic tools, and build social awareness. The article concludes that iPads can radically alter an student with a learning disability's experience in the classroom for the better. 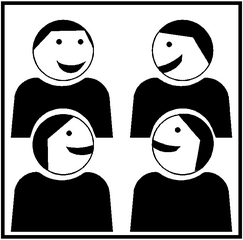 The articles explains the five main differences between cooperative learning and group work. To make students cooperate, it is not enough to put students together in groups. First, it is important to create a positive dependency between group members, they can only finish the work sucessfully together. A second important element is supportive interaction between the group members. Thirdly, cooperative learning is both individual and group responsiblity. Further, students need to learn how to communicate in an appropriate way in small groups. The last crucial element is the assessment of the group work. What it is: With Augment, stimulate your 3D models in real world, real size, real time. Features: Augmented reality can be used on all screens and devices. 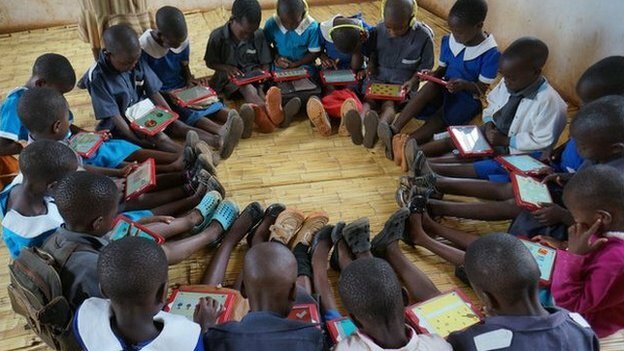 Could an app designed to teach Malawian children maths have the same sucess in the UK? An app designed to help provide a better education for children in Malawi has proved an equally effective learning tool for pupils in the UK. In six weeks, children made the same progress in maths as expected after 12 to 18 months of teaching. A student teacher placed at a school with a high English learner population used mini iPads, and an application called Nearpod, during guided reading instruction. Groups of students in a forth grade classroom used this application. The students and the teacher were interviewed to determine the benefits and challenges of this approach. An analysis of the data revealed that all of the students found this type of guided reading to be benefitial and motivating in learning the content presented through the application. Students also explained how they could transfer the knowledge gained into their independent work. The teacher discussed how it improved organization in a guided reading group, but how careful consideration and plannig must be done to ensure the technology will work properly during guided reading. What it is: app to listen to poems by Eliot, Larkin, Frost, Plath and a dozen others read by well known performers. Allows students to write, record and share their own poems. 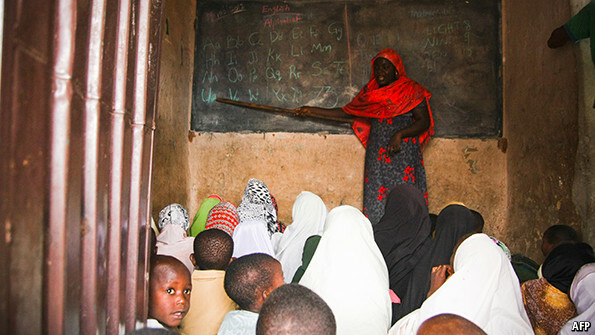 Facing a rapid growth in population, Nigeria is lacking teachers and school books. Some argue that computers, tablets and phones can provide a solution. The American University of Nigeria (AUN) runs classes to prepare students for university degrees in science, technology, maths and engineering. 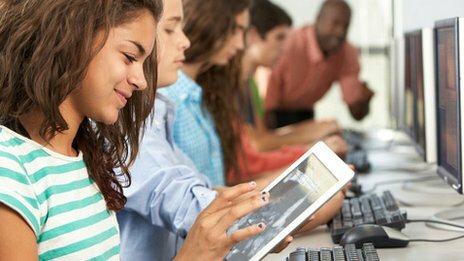 Growing connectivity makes it easier to reach students through technology than traditional teaching methods. In classrooms where books are scarce, teachers can use free online resources to keep their lessons up to date; apps make classes more interactive. Almost 70% of primary and secondary schools in the UK now use tablet computers, according to a study conducted by the education technology charity Tablets for Schools which looked at a representative sample of 671 state and independent schools. While researchers cannot isolate the impact of technology as the specific cause of a raise in attainment, head teachers reported a positive impact. There is evidence that they help to motivate students who might otherwise be disengaged - and when students take home tablet computers it increases the involvement of families. The article presents schools where tablets are already used sucessfully for teaching and learning. Students learn tablets to access their individual curriculum, digital school books, exercises, and games to learn math, coding etc. and reflects on the possibilities that tablets offer for changing education in the future, for example to enable personalised learning. The study capitalized on a unique natural experiment rather than a researcher-designed, randomized experiment, whereby, thanks to the Australian Government's Digital Education Revolution, half of grade 9 students in 2008 received laptops and half did not. Consequently in late 2011, when these students sat for their grade 12 external examinations based on the same curriculum implemented across the state of New South Wales, half of them had been schooled with 1:1 laptops for over 3 years and half without. The aim of this study was to evaluate if having 1:1 laptops was a predictor of sucess in the scientces in the external examinations. The science students (N=967) from 12 high schools in Sydney, Australia were studied. Using socio-demographic, school and examination data, multiple regression anlalyses were performed to measure the impact of 1:1 laptop provision and other variable on student attainment in biology, chemistry and physics. The study found that being schooled with 1:1 laptops had statistically significant and positive standardized regression coefficients with student attainment, with a medium effect size in physics (0.38), and small effect sizes in biology (0.26) and chemistry (0.23). Upon further investigation, exploring data provided by student and teacher questionaires, it was suggested that the greater effect size in physics corresponded with greater use of simulations and spreadsheets by students and teachers. The Horizon Report Europe. 2014 Schools Edition examines trends, challenges, and technologies for their potential impact on and use in teaching, learning and creative inquiry. It is based on the input of more than 50 experts from 22 European countries. One of the trends identified for the next year is tablet computing. According to the report, the tablets' consumer friendly reputations have led to their integration into schools. Visually compelling and highly portable, they are ideal tools for browsing the internet, viewing presentations and videos, and accessing apps, giving school leaders reason to position tablets at the centre of teaching and learning. As tablets become more accessible and capable, an increasing number of countries are identifying tablet computing as a focal point to their national strategies for education. The Creative Classrooms Lab project is put forward as a European example of experimentations with tablets. This literature review investigates on the real impact of using iPads on learning. It focuses on advantages and disadvantages of iPads regarding the following aspects such as class climate, formal and informal learning, creativity, teaching, learning outcomes and 21st century skills. Conclusions regarding the use of iPads in class are mixed:iPads appear to support more diverse teaching and support in particular students with learning difficulties. On the other hand, they do not seem to the right tool for more in-depth work and can also distract students from their tasks. Showing 16 - 30 of 107 results.